The head quickly and easily adjusts 270¬∞ (135¬∞ working range) in 13 locking positions without tools. Recommended for all loop handle KombiEngines Tool Hedge trimmer. 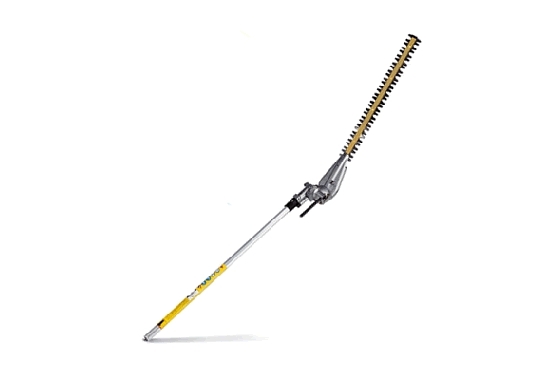 For cutting tall hedges from a comfortable position on the ground. Working range of the cutter bar can be fixed in increments and the bar can be folded and locked parallel to the shaft for transport.